A householder was having trouble with mice chewing through cables and called in pest control firm. As well as mouse droppings they also found bat droppings. We went over to have a look and though there were no bats to be seen at this time of year (all sensible bats are still asleep), there were numerous brown long eared bat droppings. 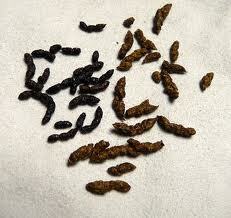 We also found some droppings in an outbuilding. We have been invited back in the spring to check out if the bats have returned. Brown long eared droppings are quite mouse dropping like in appearance. If you crumble them they fall apart. With mice you end up with sticky fingers. 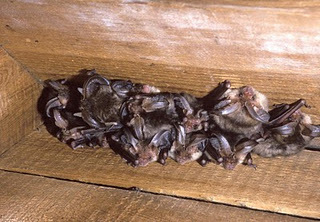 This entry was posted in Uncategorized and tagged brown long eared bat, roost. Bookmark the permalink.